FOR those who are familiar with this hadith, we understand that it talks about religious knowledge. Enough of us make worldly knowledge an obligation – that’s what our education system is there for – but when it comes to learning more about our religion that is our way of life, a surprising number of people don’t even think about how much more there is to know. But this article is not for them. This article is for those who do seek knowledge, whether that is through reading or attending classes or even online. This is for those of us who want to know more, to improve ourselves, and to get closer to our Rabb. How many of us recite this du’aa? 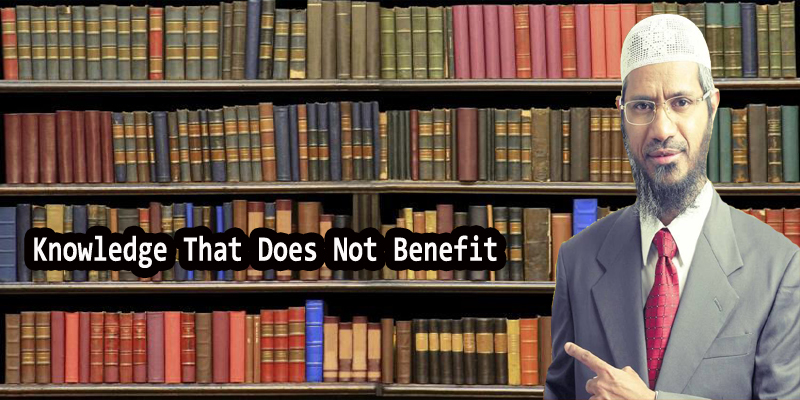 It starts with “knowledge that does not benefit” because that is the key to everything else. What is knowledge that does not benefit? The knowledge of our religion, this way of life that was passed down from our Prophet (pbuh), comes with the ability to uphold our deen – that is how a nation of Bedouins in the desert of little importance at the time became one of the greatest forces on the earth. Prophet Muhammad (pbuh) planted the ‘ilm he got into the hearts of the sahabah such that it became a guidance that they acted upon – a total way of life. That was success. We have a culture today of learning more (and everything is really at our fingertips), but the overwhelming amount of what we take in means that we find it hard to actually bring it out in actions. A common enough du’aa we make is “O Allah, increase me in knowledge” [Qur’an, 20:114] because we want to learn, but we need to start thinking about practicing more. Knowledge and application go hand in hand. Do we not know that we should treat our parents with utmost goodness? Yet most of us do not try to fulfil their needs before they can express them, are harsh in our tone sometimes, and don’t give them enough attention. We know what the ayah says, but we do not apply it completely. Yet we are quick to lose our temper. That is why this du’aa is so important – as a reminder to ourselves that more important than the books we fill with notes are our deeds that weigh on our scale, and that we need the help of our Rabb for every little thing. We cannot do it without Him. How many of us are so fearful of the consequences of not acting upon what we learn that we shiver and seek refuge with Allah from not implementing our knowledge? We are blessed only if we have the ability to apply the knowledge. How much do we apply compared to what we learn? Some salaf would increase in their application as each day passed. The task of gaining ‘ilm was not an easy one, and so it had more value in the past than it does today. This is not meant to scare us away, rather to encourage us to practice more of what we learn and preach. If you are someone who seeks knowledge but feels like there are areas of your life or your character that need work, this du’aa is for you.